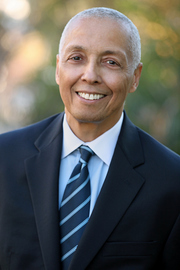 Ernest Littles is a multifaceted Real Estate Professional in the Greater Los Angeles Area. With over 35 years of combined commercial and residential professional real estate sales and marketing experience, Ernest knows what it takes to assess real property values and buy and sell real estate in this fast paced economy. Office, Retail, and Industrial Leasing: In the 1980's Ernest assumed the position of General Manager of Business Development & Marketing for the Port Authority's New York World Trade Center (Twin Towers) and for its New York and New Jersey Industrial and Office Parks (Bathgate NY, Yonkers NY and Elizabeth NJ Industrial Parks and the Teleport Office Park NY); with executive responsibility for office retail and industrial leasing and new project development promotion. In the early 2000's Ernest managed and developed major mixed-use realty projects in Trinidad & Tobago and Dominica. Hotels: Also at the World Trade Center, Ernest held executive management responsibility for oversight and management of the Port Authority’s operating agreement with Hilton International for operation of the 820 room Vista International Hotel and served as an executive member of the negotiating team concluding the sale of the Vista Hotel to Marriott International. The 50 room full- service Crews Inn Hotel was among the diverse group of commercial properties that Ernest managed in Trinidad. Ernest served two terms as Chairman of the Trinidad Hotel Association and later served as Chair of the Finance Committee of the Caribbean Hotel and Tourism Association. 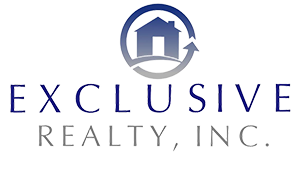 Residential Homes and Income Properties: For the past four years, as a licensed real estate broker in Southern California, Ernest has successfully advised and sold income and residential property clients, primarily focused in West Los Angeles. Ernest is an MBA graduate of Columbia University Graduate School of Business and is a real estate investment income property specialist. Please call or e-mail Ernest today to get started putting his exceptional real estate experience and passion to work (marketing & sales/research & analysis/process management/advice) for you.